Father has gone to get a Christmas tree and the family is anxiously looking for him from the windows of their warm, cosy living room. Soon, when the tree has been brought in, they will decorate it and put the family’s Christmas star at the very top. That’s when Christmas has finally arrived. 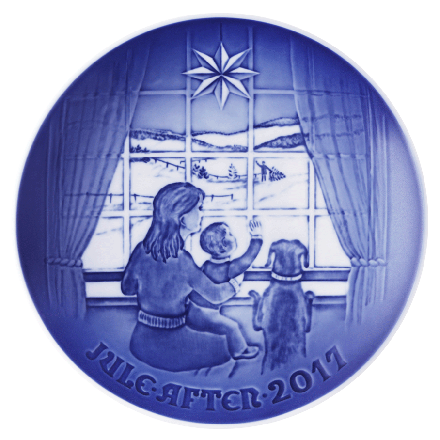 The motif by artist Dag Samsund is the 123rd in the series and adorns the Bing & Grøndahl plate, bell and drop.